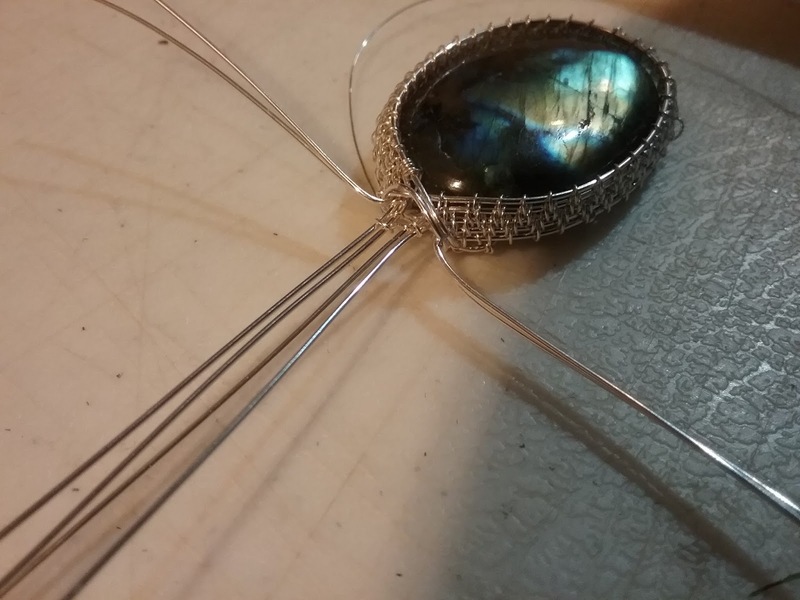 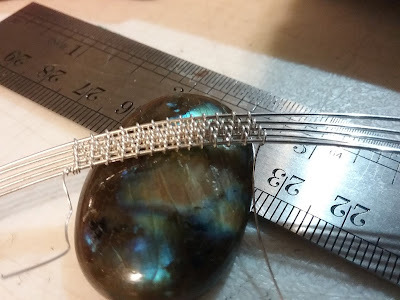 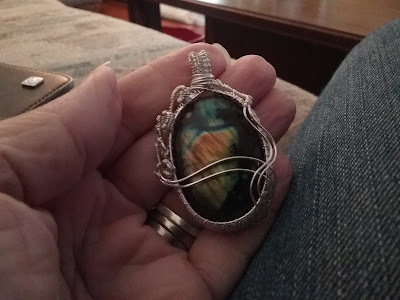 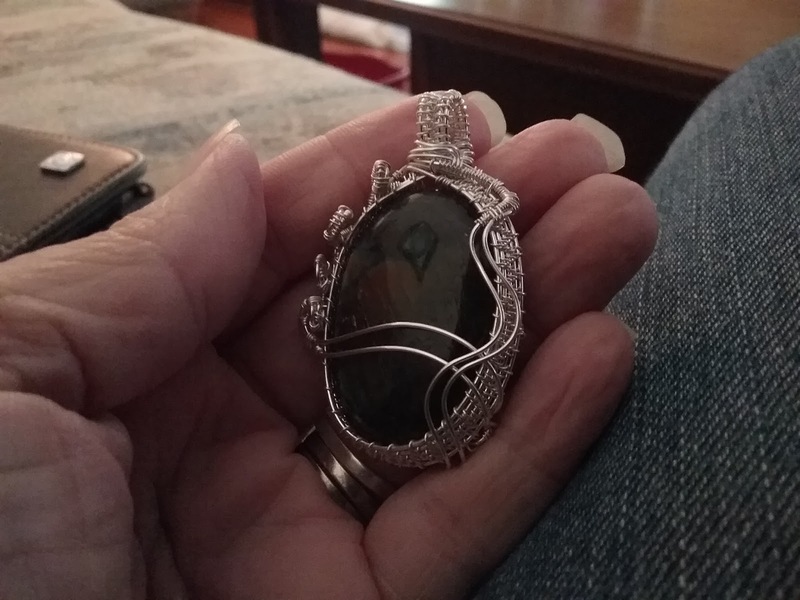 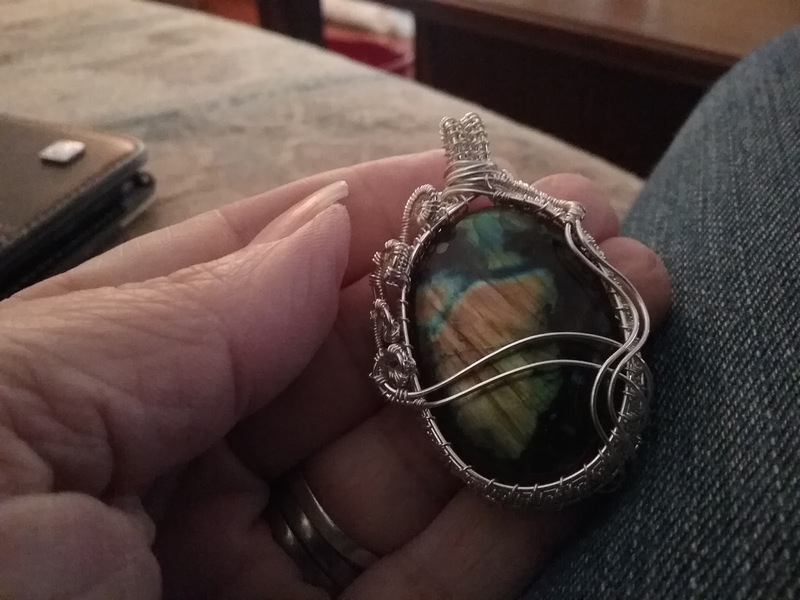 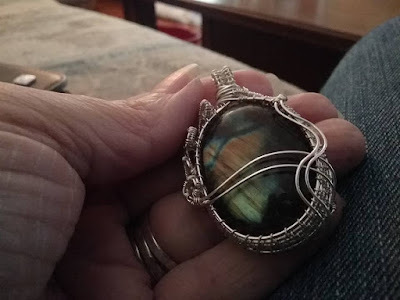 I started out with five base wires and created a wide weave due to the size of the stone. 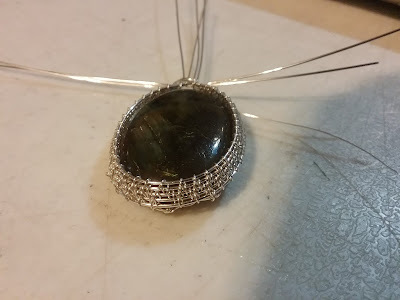 I think wrapped it around the outside of the stone and joined the wires at the top to begin working on the bail. 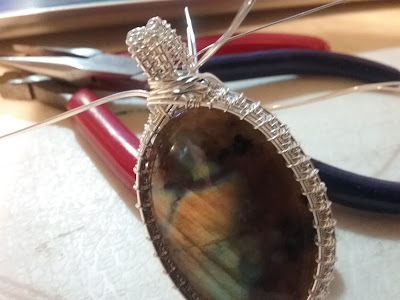 To create the bail I pulled four of the wires up straight to the top and started a type of figure eight weave to create the bail. To of the front wires are pulled around the back to lock the stone in place. The bail weave is created and tided into the back of the piece. Using the remaining wires I pair them up in sets of two/three/four and create decorative weaves to go along the sides of the piece. These are the final pictures. 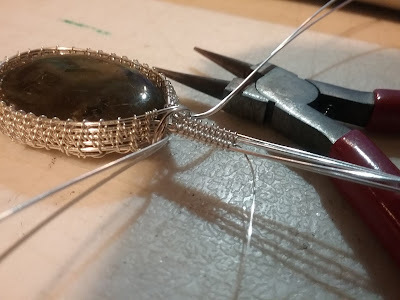 I needed up using the plain wires across the front to add a bit of a decorative element to the front of the stone.